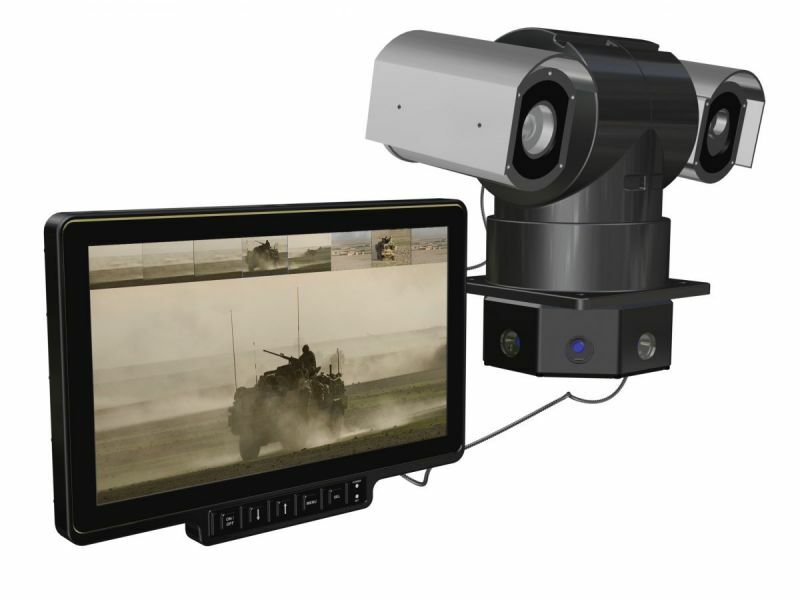 By combining the ISTEC ICE 360 deg Ring Camera system and a PTZ (pan tilt & zoom) system and connecting both to the ISTEC ICE 13.3” HD touchscreen display, the system provides both a live 360 deg fixed system offering a detection layer showing the surrounding environment and also a Day and TI high-resolution, narrow FOV sensor PTZ system that can interrogate threats discovered by the detection layer. The Ring Camera shows a 360 deg tiled view along the top of the HD display and displays any motion within 360 deg . A simple tap on the region of interest, can either show the full size LSA Ring Camera image of the region of interest, or automatically move the PTZ to the area of interest where a zoomed TI/Day fused image of the target can be viewed. Optional automatic motion detection software can be included within the Display, which can automatically show a full screen Ring Camera image of the region of motion detection, or automatically move the PTZ to the same region. The selected region of interest on the tiled view is highlighted to show the region selected.